Pretty apron pictures and patterns from the most recent issue of MaryJane's Farm magazine. 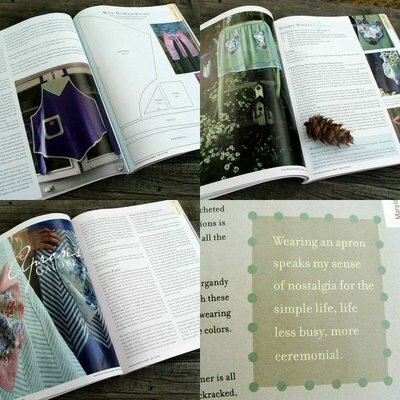 It's the special stitchery issue and contains lots of apron lore and more! The entire issue is about aprons -- remembering MaryJane's mother and her apron-wearing tasks; stories tied to apron strings; apron pictures and patterns; and apron artists in action.